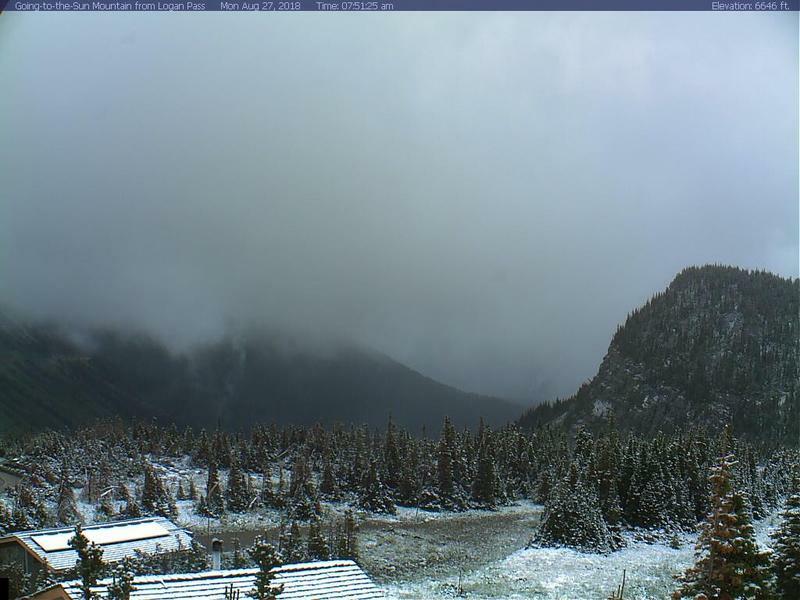 A webcam view from Logan Pass in Glacier National Park on the morning of August 27, 2018. Widespread rain and some mountain snow have helped slow the wildfires burning in Western Montana this weekend. 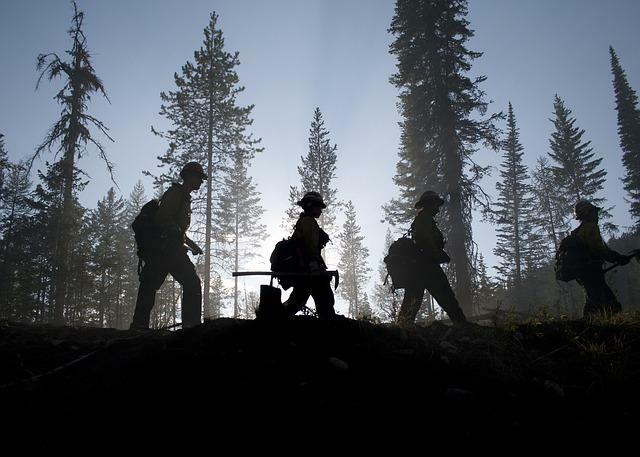 The widespread precipitation gracing Montana has at least tapped the brakes on the 2018 fire season. But National Weather Service Meteorologist Trent Smith says it’s not the full-stop event everybody’s hoping for. 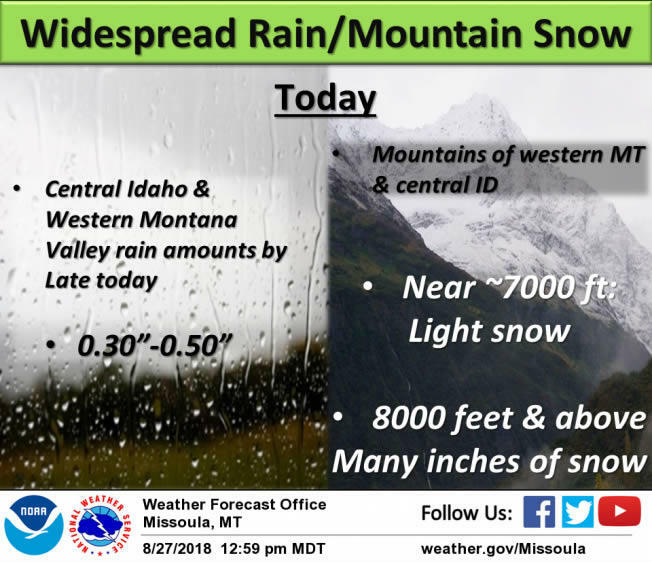 The rain, snow and cool temperatures are being felt from the mountains of northwest Montana, to the plains of eastern Montana. It’s slowed the spread of the Boundary Fire burning near the U.S.-Canada border enough to prompt the lifting of an evacuation order issued last week for Waterton Lakes National Park. Parks Canada officials said in a statement Monday that most of last week's closures have been lifted for Waterton park's trails, backcountry campgrounds and waterways. The rain slowed, but did not extinguish, the Howe Ridge Fire burning in Glacier National Park near Lake McDonald. That fire destroyed 14 residences and other structures earlier this month. Evacuation orders remain in place for the North McDonald Road, Lake McDonald Lodge area, private residences along the Going-to-the-Sun Road, and Sprague Creek, Avalanche, and Fish Creek Campgrounds, due to the Howe Ridge Fire. Missoula-area fire danger has now subsided enough that officials will lift Stage II fire restrictions that have been in place since early August. That goes into effect Wednesday at 12:01 a.m.
Meteorologist Trent Smith urges us to enjoy what’s left of this rainy system. The forecast calls for highs from the 70s to lower 80s and breezy conditions by week’s end. The Beartooth Wildlife Management Area south of Great Falls has reopened to public use after a fire closed the WMA in mid-August. Fire personnel will be available to answer questions regarding the Whale Butte and Cole Ridge Fires. A community meeting is schduled Tuesday, August 28, 2018 at the Sondreson Hall, Polebridge, MT, beginning at 6 pm. For the Bacon Rind Fire, there will be a community meeting at 7 p.m. Wednesday, August 29 at the Community Protestant Church at 505 N Electric Street, in West Yellowstone. Fire managers will give an operational update on the fire and be available for questions. In Yellowstone National Park, a new lightning-ignited fire located about 5 miles southwest of Tower-Roosevelt, was detected Friday, August 24. The 0.1-acre blaze is called the Prospect Fire. Currently, there are no closures in place due to this fire. The Prospect Fire will be monitored. 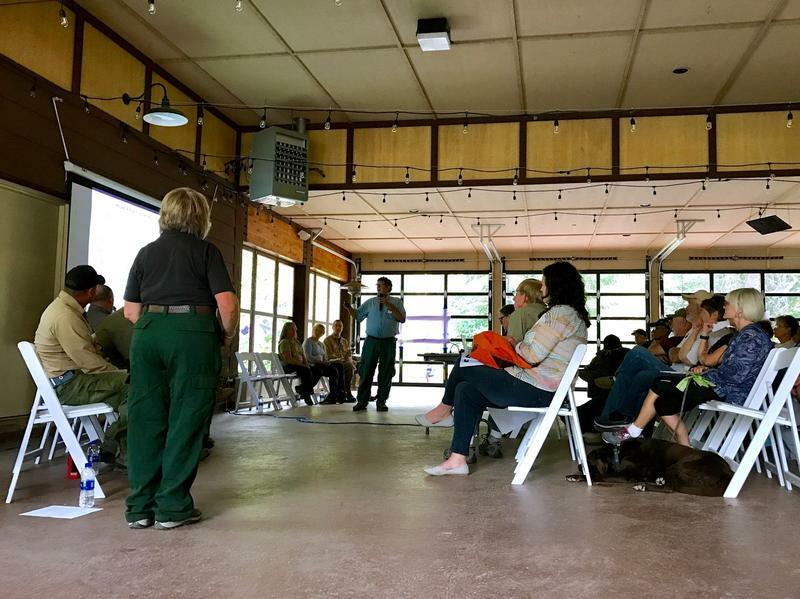 Fire staff also plan to review the community protection plan and status of defensible space at Tower-Roosevelt in the event the fire moves towards the area in the coming weeks. Fire danger in the park has decreased to "Moderate" after wet, cool weather this weekend. 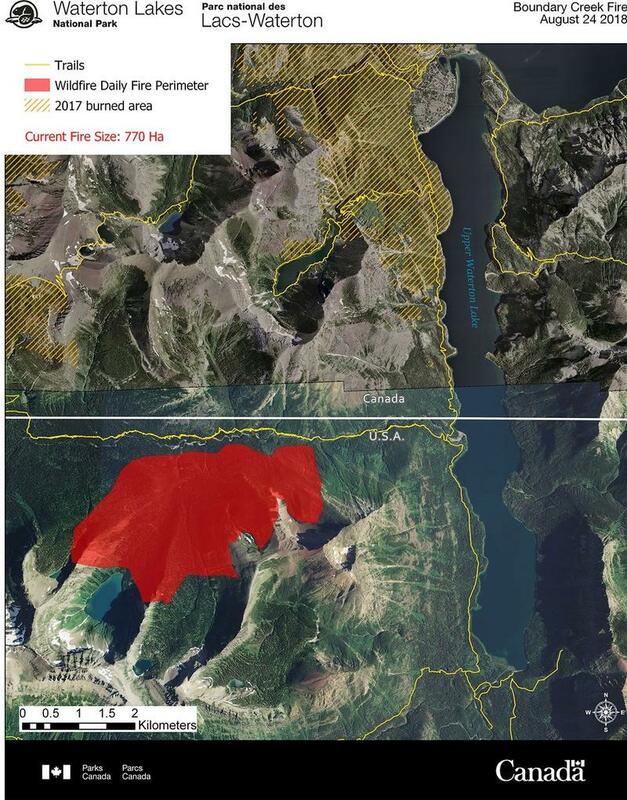 A fast-growing wildfire discovered Thursday night in the northeastern part of Glacier National Park has led to the closure of nearly all of neighboring Waterton Lakes National Park in Canada. Fire managers on the Paola Ridge Fire outside Essex met with homeowners, some under pre-evacuation warnings last night. Representative Greg Gianforte toured areas affected by the Howe Ridge Fire in Glacier National Park Wednesday morning.